You can now add the California Coastal Commission to the list of local, state, and federal agencies lining up in support of San Francisco’s plan to renovate its cherished Sharp Park Golf Course, a public seaside links created in 1932 by the legendary golf architect Alister MacKenzie. The powerful 20-member Commission, which oversees development and resource protection along California’s 1,000-mile coast, unanimously approved San Francisco’s Sharp Park permit request for small-scale dredging of a pond and canal, repairs to a pump house, movement of a golf cart path, and dredging of a new frog pond to the south of the golf course. The Commission’s approval came at the Commission's April16th meeting in San Rafael, 33 months after San Francisco filed its coastal development permit application in July, 2012. The same plan had already been approved by the U.S. Fish & Wildlife Service (following a 17 month study). Additional approvals have come from the Army Corps of Engineers, the San Francisco Bay Regional Water Quality Control Board, and the San Francisco Planning and Recreation and Park Departments and Board of Supervisors. The plan is supported as well by the neighboring City of Pacifica and County of San Mateo. The U.S. District Court for the Northern District of California and the U.S. Ninth Circuit Court of Appeals have dismissed challenges to the plan. 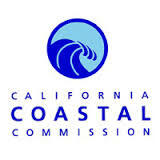 The Coastal Commission Staff Report – adopted unanimously by the Commissioners— characterizes the 83-year-old golf course as “an existing public, visitor-serving, low-cost recreational asset that provides access to and spectacular views of the coast.” The Coastal Act specifically provides that such "lower-cost visitor and recreation facilities shall be protected [and] encouraged". Bo Links, co-founder of the San Francisco Public Golf Alliance, was one of several speakers who spoke out in support of the golf course, saying "The entire Bay Area golf community is grateful that the Commission recognized what we've all known for a long time, namely that Sharp Park is a treasured asset worthy of preservation." Streaming video of the complete 7 hour April 16, 2015 California Coastal Commission meeting is LINKED HERE. The Sharp Park Pump House Project hearing starts at the 3:49:30 mark [Slide the progress bar below the video]. Work on the project is budgeted at approximately $400,000, and is expected to start in June and to be completed by October 31. Planning for a combined golf course renovation and frog/snake habitat recovery project at Sharp Park began in 1992, with a joint study by San Francisco and the State of California Coastal Conservancy. In 2012, San Francisco and the City of Pacifica’s water agency completed a $10 Million recycled water delivery system designed to deliver 75 percent of its capacity to irrigate Sharp Park Golf Course. Four of the golf holes were hooked-up to the recycled water system in Fall, 2014. The irrigation lines to the remaining 14 holes will be installed at a later date. Golf course renovation plans are subject to further environmental review under California’s Environmental Quality Act (“CEQA”). The golf course is administered by San Francisco Recreation and Park Department’s Natural Areas Program, which since 2009 has been processing a combined environmental impact study of several Rec & Park properties, including Sharp Park. Public hearings on a Draft Environmental Impact Report were conducted in 2012 and 2013, and issuance of a Final Report is expected – though not yet calendared – sometime later this year. “This is a slow process. But Sharp Park is an extremely important property, both for its public recreation and golf architecture, and as habitat for the frog and snake. We have to be patient, and remind people that golfers too are nature-lovers at heart. Long known locally as “The Poor Man’s Pebble Beach,” Sharp Park is a San Francisco municipal course, located on Salada Beach, 10 miles south of San Francisco in the coastal suburb of Pacifica. It is recognized by Golfweek magazine as one of the 50 “Best Municipal Courses” in America. In the 2013-2014 Fiscal Year, Sharp Park was San Francisco’s most popular municipal golf course, with nearly 46,000 rounds played. The course architect, Dr. Alister MacKenzie, is widely acclaimed as the greatest golf architect in history. In the late 1920’s, he was hired by park visionary John McLaren to create a world class course by the sea. In addition to Sharp Park (which opened for play in 1932), MacKenzie designed several of the best-known and best-loved courses around the world, including Augusta National (home of the annual Masters Tournament) and the Cypress Point Club on the Monterey Peninsula.